So I have picked up the bike from Red Baron, with 5km on the clock. I've had a Venture pack system fitted, so I can attach my top box to the bike for when I'm going to work etc. 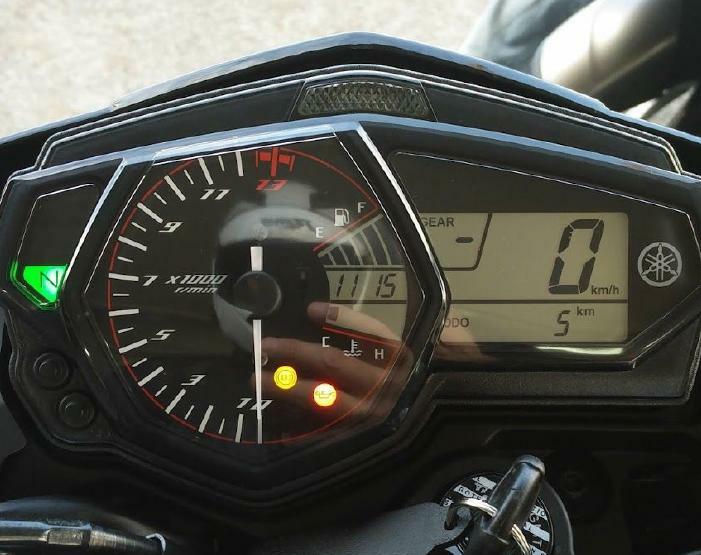 The display on the bike shows a heap of information. Aside from the normal rev-counter, speed etc there is a very helpful gear indicator as well as a fuel gauge and temperature readout. On the odometer display this can show 2 trip meters, current fuel usage in km/l or l/100km, average fuel usage, oil change, trip meter and when the fuel gets to reserve it has a separate one to count how far you have left to travel, I guess before you get to the fun part of pushing. At the top of the dash is a white light for the “change gear” indicator which is very configurable. You're able to turn it off totally, set when it starts, stops, the type of flash and brightness. After the 20km ride home the fuel economy was 20.1km/l. Now It was getting better as I rode home, so once I've finished my first tank of gas I’ll hopefully have a better idea of what it will be each day. The VFR for comparison, does about 15km/l around town. Not sure yet what it's like on the open road with 2 up, but will be finding that out for the Queen’s birthday weekend. 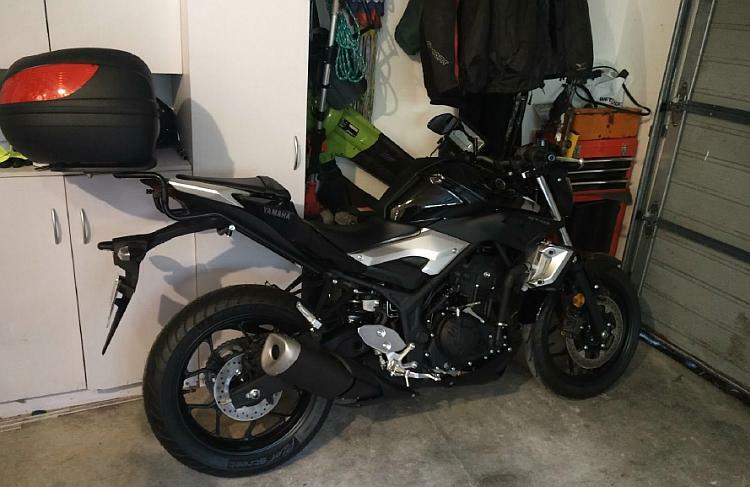 Here is the bike sitting in the garage after I cleaned and re-arranged things around so we could fit all 4 bikes in and the car. I have to have it so that 3 of the bikes can be taken out and turned around without too much effort. For my height of 178cm I find the seat height of the bike (78cm) perfect for me, it's easy to put both feet flat on the ground. Also when in the garage to spin it round on the side stand it is so balanced, it takes almost no effort to pull it on the stand. I asked my son to have a go and as he is used to doing it with his Ninja 250 which takes a bit of effort, he nearly pulled the bike over on top of himself. If you're getting a shiny new bike or even a dirty old used one we'd love to share your experiences both good and bad with our readers. Please Click Here.